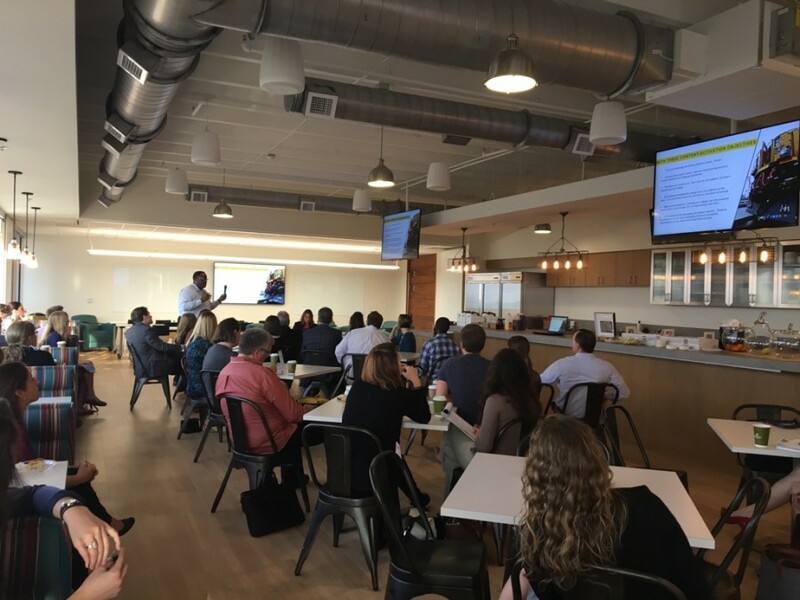 John Claybrooks, CSX, Director, Brand, Digital Media & Marketing Communications, is no average speaker and his venue on Tuesday morning was no average setting. The cafeteria proved to offer a key metaphorical backdrop to Claybrook’s dominant piece of advice when it comes to social media – cook up something new, experiment with different flavors of channels but remain true to your own style (or voice). Storytelling is key; social media is a two-way conversation where the story behind your message is the most important asset. Start with your audience by understanding everything you can about them, including generational differences, what drives them, what are their habits, and what do they connect to on a personal and professional level. Extend your message where it makes sense to other channels but remain steadfast on approaching each channel differently to cater to your different audiences. Be proactive when it comes to community management; get ahead of breaking news by telling your story first. Go where your audience is and experiment with different approaches to each channel to find the right fit. Invest in high-impact visuals, videos and online events to create the most engaging experience possible for your audience. It’s not just about content but also form. Know each channel’s audience in detail to better find the story that resonates the most with them. No two channels should be treated the same. The home screen is now the most valuable piece of real estate available when you’re trying to get your message out there. The community management strategy is as important as your content strategy. Take time to decide the right guidelines for responding to users on Twitter and other social media managers and stick to it. Above all, find the surprise in the story. Much like a secret ingredient to a favorite recipe, there’s always an element to the story that will resonate the most with your audience and it’s important to highlight that surprise in your social posts to garner the most interest. We would like to thank John Claybrooks for joining us at this event. We look forward to our next breakfast!